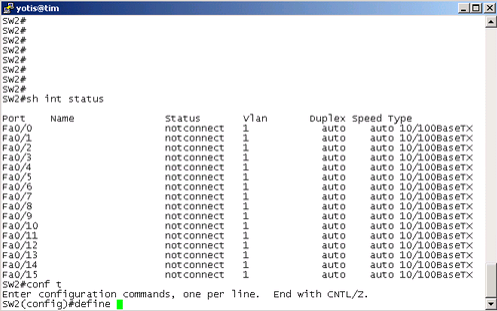 From the beginning let me tell you that I don’t see very useful this command, as I prefer to use “interface range…” syntax, but since I saw it as a requirement in one of the task for CCIE RS lab exam, and maybe somebody will find it usable in real environment, I said I should put it here in a tutorial. As many of you already know, you can control a range of interfaces by typing the command “interface range Fa0/1 – 6” (for example), but there is another way to do this by using the interface macro style. For those how are beginners, this interface range or macro syntax spare you from typing 6 commands under 6 interfaces (stick to the example above), but issue only one command under interface range or macro.